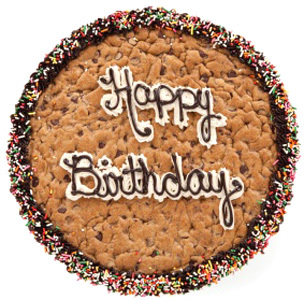 FEBRUARY 28--A Louisiana man celebrating his birthday got into an argument with his 77-year-old father and allegedly assaulted his kin with a “cookie cake” purchased by the older man, according to cops. Investigators allege that Kenneth Fulmer, 44, left his family’s residence Monday evening after arguing with a neighbor. 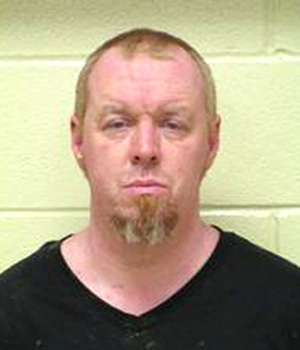 He reportedly went out drinking and returned to the Bossier Parish home intoxicated. 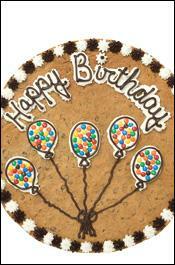 While Fulmer was carousing, his father Jack went out and purchased a birthday cookie cake to "cheer up his son," according to a Bossier Sheriff's Office spokesperson. However, when Fulmer returned home drunk, he began arguing with his father and subsequently “battered” the pensioner “with a cookie cake,” according to a sheriff’s report. 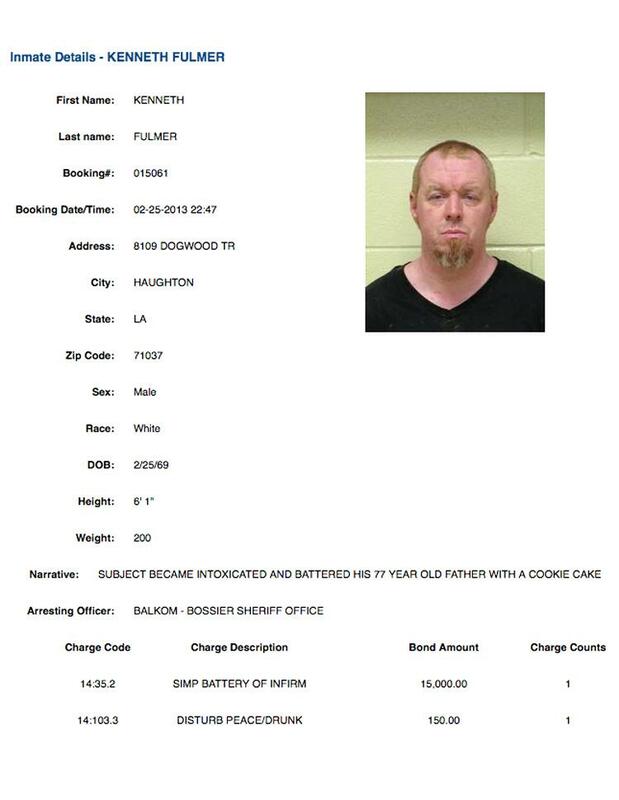 Specifically, investigators charge, Fulmer smashed the cake over the head of his father, who was “covered in the cookie cake” when Deputy Heath Balkom arrived at the home in response to a disorderly person call.